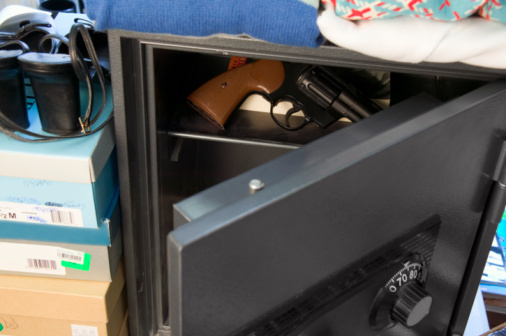 Combination locks can be used on cupboards, boxes and safes to secure valuable or important goods inside. However, trouble can arise if you forget the combination code to unlock it. While most manual combination locks can be broken using brute force, this takes a lot of time and energy, and for good reason. Luckily, there are other ways to open a combination lock when you don't remember the combination. 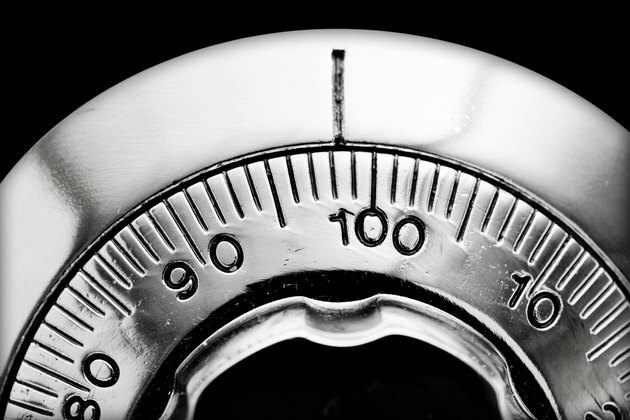 There's a way to crack the code of a combination lock when you've forgotten it. Hold the lock with the latch at the top and the dial facing you. The locking mechanism will be on the left-hand side. You'll need to exert some pressure on the lock's latch – enough so the dial can turn, but not so much that it spins freely. This tension is essential in order to feel when you hit the right number of the combination and the mechanism engages. Which way do you turn locks? It's best to start clockwise and then change to counterclockwise. What's most important is remembering which direction you started with. Turn the dial. If it never catches, you haven't put enough pressure on the latch. If it's clicking at every number, you've put too much pressure on the latch. Getting the right amount of pressure will mean that the dial clicks only once. When you find this one click, add five to the number. That's the first number in the combination. Once you find the first number, switch the dial rotation to counterclockwise. After one full rotation, the dial will meet resistance at a certain number. This is the second number in the combination. After you've found the first two numbers, the most time-efficient way to find the third is simply to try each option. Set the first two numbers, then go through a sequence to find the third. If your combination lock is older, it's possible to create a shim (a type of wedge) to force it open. Padlock shims can be bought online. They usually come with specific instructions. Generally, they're inserted into the left-hand side of the lock's latch and trick it into coming open. Shims don't tend to work on newer locks, however, and can end up damaging the mechanism instead. To reset a combination lock, such as those made by Master Lock, you'll first need to find its serial number. Contact the manufacturer of the lock with this information. You'll most likely need ID and proof of purchase, particularly if the lock is attached to a box or safe. The manufacturer will be able to reset the combination of your lock.